The practice of law in the United States has a proud history, integral to the founding of the nation and maintaining the rule of law. Many lawyers and law students from around the world come to study or practice law in the United States. In this Study Law guide, we describe the overall legal system in the USA, as well as provide practical guidance for foreign education lawyers and international students that want to study law or practice law in the USA. Studying law can open many doors for you. Law gives you the necessary skills to practice as an attorney or develop a career in another field such as politics, diplomacy, economics, business, or education. There are numerous rewards in studying law, but it is a solitary, intimidating, and difficult process, so it is important to know for sure that studying law is the right choice for you. Foreign students have traditionally shown a greater interest in graduate level law degrees such as the LLM, MCL, or MCJ. Studying a graduate law degree in English from in a US institution generally enhances your job opportunities upon returning to your home country. Studying law in the United States is very different from studying law in many other countries. In various countries, students begin their law studies immediately following graduation from high school or secondary school. Most universities in other countries require only a high school diploma or the equivalent to admit students to their law faculties. In the US, however, law is a professional academic field, the equivalent of a graduate degree in other parts of the world. Law schools in the US are part of public or private universities that grant Juris Doctor (J.D.) degrees. The J.D. program typically lasts three years for full-time students and four years for part-time students. The first year of law school is generally considered to be the most difficult because of the core classes, exams, and the Socrates method. Note: The Socrates method is a technique used in most law school classes in which the professor cold calls on students to state a case or respond to a case-based question. This intimidates many students, particularly international students who might be afraid to speak up in class, but most adapt to the teaching style quickly. As a first-year (1L) law student in the US, you will most likely take courses in legal writing, contracts, torts, criminal law, and constitutional law, among other courses. As a second-year student (2L) you are likely to focus on other activities such as Law Review, Moot Court, and other extra-curricular activities that offer a lot of practice. Because most 2L students need to start looking for legal internships between their second and third years, it is extremely important that they get as much practical experience as they can during their second year. Many of these internships will lead to full-time job opportunities following graduation. As a third-year student (3L), you will likely take electives such as international law, immigration law, anti-trust law, or intellectual Property Law. Third-year students generally focus most of their time on finding employment and studying for the bar exam. Note: The bar exam is a test meant to determine whether a candidate is qualified to practice law in their jurisdiction. If you decide to practice law in a different country or state you might be required to take a second bar exam to become a dual-qualified lawyer. Choosing the right law school in the US is an important process. It is important to find a school that suits you. Look at school rankings, but also remember to visit university campuses, if possible. Talk to current students and graduates, and learn as much as you can about the school. 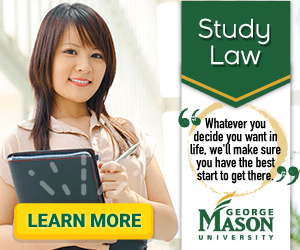 It is generally recommended that you attend law school in the general area where you intend to practice. For more information, we've put together a guide for choosing the right law school	for you. Bachelor's degree or equivalent (4-year university degree) in any subject. To register for the Law School Data Assembly Service	(LSDAS) – nearly all ABA-approved law schools (and some non-ABA-approved schools) require that their applicants register for and complete their applications through the LSDAS. Financial documents showing proof of funds for the academic year (only if you are applying for an F-1 visa).